Oscar – New Face of Healthcare Insurance? It’s no secret that healthcare insurance has been an extremely complicated, opaque and not a very consumer savvy business. A quick look at Oscar’s website changes that perception, even if it is for a short while.Browsing the website almost feels as if you are not shopping for insurance but for an uber-cool hi-tech gadget. Free televisits, free generic drugs, rewarding healthy behavior are some of the other unique ways the company is differentiating itself in the market. Oscar’s growth has not been without its growing pains, a term that startups use to describe the messes they make while disrupting. Over the summer, an Oscar user complained to the press about pricey bills for care that was supposed to be covered. That sort of thing happens often with regular insurance companies, but Oscar’s entire proposition is that it offers a no-surprise experience. In its colourful subway ads, the company promises to deliver “Health insurance that won’t make your head explode.” (The twee punch line: “And if it does, you’re covered.”) Oops. In an industry that has long focused only on maximizing revenues and profitability, it’s great to note that the new player has the end customers as their top priority.Currently valued at $1.5 Billion, the less than two year old start-up has a customer base of 40,000. Compared to insurance giants such as UnitedHealthcare, BlueCross BlueShield, Aetna that looks like a minuscule amount. But it would be definitely worth following how Oscar scales and maintains customer-centricity, the aspect that is sorely missing in the incumbents. Design thinking is defined as a human-centered approach to innovation that draws from the designer’s toolkit to integrate the needs of people, the possibilities of technology, and the requirements for business success. Industries such as consumer goods, automobile etc have been quick to adopt this technique but healthcare has not. In my opinion there are many applications of design thinking in the healthcare sector and one area stands out – to shape patient experience. Patient experience has been a largely ignored area so far. But healthcare organizations now understand that delivering positive patient experience is no longer a choice but a necessity to successfully operate in the changing regulatory environment. And for organizations to be/become truly patient centric they need to walk in patients’ shoes’ before offering them a service. This is where design thinking approach can offer value. For example, I have always dreaded going to dentists’ clinic. The stinging pain, the nauseating smell, the overall discomfort of the experience makes the situation worse. But recently I found a dentist whose service pleasantly surprised me. The experience was nothing short of stellar. What was the reason? In retrospect, very simple things. The clinic was perfectly lit with warm lights. There was soothing music that was played in the background that helped me divert my mind while the doctor was working on me. The wires of the equipment were perfectly placed, rarely interrupting my dentist’s work. It was one of those wow patient experiences, something that made me look forward to my next appointment. What I experienced above was design thinking at play. What design thinking does is enables you to empathize with your patients by picturing yourself in their position and then creating services/products to match expectations. Another example I can think of is that of Mayo clinic. The organization is one of the pioneers in adopting the concept to improve service delivery. They renovated (after nearly 100 years) their exam rooms using design thinking approach. The new Jack and Jill rooms that separates the exam room from conversation room was developed using design thinking methodology. It didn’t require any major breakthrough to understand what patients (and doctors) would appreciate to come up with Jack and Jill rooms. It merely needed an empathetic attitude to identify pain points and then address them. The result: patients love the new concept. They now feel that their needs are actually influencing the way healthcare is delivered. Design thinking is one crucial tool for healthcare organizations to truly connect with patients. 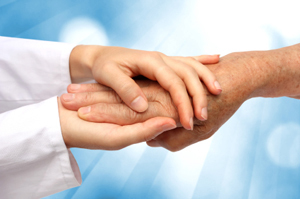 In order to positively shape patient experience and therefore increase patient loyalty, one cannot afford to ignore it. Visual Analytics – A Picture is Worth a Thousand Words! I am currently tinkering with SAS Visual Analytics and am completely blown away by the tool’s capabilities. Intuitive GUI, ability to handle big data and super-fast speed are all remarkable features of the tool but my favourite is hierarchy creation and geo-coding. Apart from the technical sophistication of the tool I am also intrigued by the way the visuals compelled me to look at the data differently. It forced me to ask questions that otherwise I wouldn’t have. And that I think is my biggest takeaway from the experience. From healthcare perspective, I think visual analytics can lend a lot of meaningful insights. It can not only give a bird’s eye view of the data at hand but also help you to localise to the finest detail. 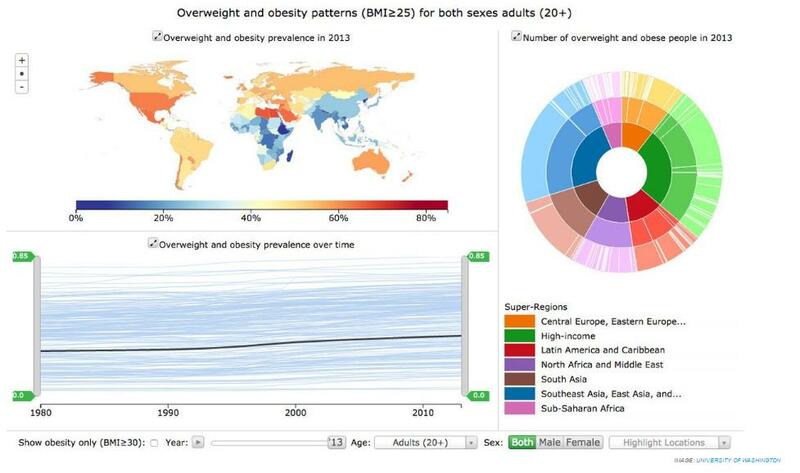 The picture, which by the way is also interactive, gives an overall snapshot of global obesity trends worldwide. And at the same time one can apply multiple filtering criteria to drill down to a specific geography. So, is a picture worth a thousand words? Certainly. What is common in between these pairs of companies? Apart from being stellar companies in their respective fields, the above are pairs of disruptor-incumbent in the healthcare space. Apple launched its HealthKit and partnered with EMR giant Epic to revolutionize patient engagement. Theranos teamed up with Walgreens to bring its innovative lab diagnostics services to the masses. 23andMe announced collaboration with Pfizer to conduct genetic studies through its research platform. To me these partnerships highlight one interesting trend – disruption is leading to collaboration. Businesses are often perceived as ‘dog eat dog’ establishments with little scope of interconnectedness. On the face of it collaboration seems to be counterintuitive. After all why would high potential disruptive company want to pool its intellectual capital with an incumbent? And from an incumbent’s perspective, why would it pool its resources with a disruptor? Firstly, because they both share a common vision. Successful companies are driven by a vision and tend to work with those that share that vision with them. For example, Apple envisions HealthKit’s user generated data as a major game changer for patient-engagement. But it also realizes that to get a holistic view of a patient’s health, EMR data would be necessary. That’s where Epic comes into the picture which understands that the traditional EMR silo wouldn’t lead to patient-centred care – the new paradigm of healthcare. Secondly, collaboration allows to share expertise. With its powerful genomic data 23andMe can make personalized medicine a reality. Since the company lacks industry knowledge in the area of drug research and development it gave Pfizer access to its repository. Pfizer has more than a century of expertise in drug development can tap this new information to study the associations between disease and genes. This new partnership could lead to identify new targets to treat disease and to design clinical trials. It’s certainly a win-win for both the companies. Finally, it allows them to leverage an established network. Theranos teamed up with Walgreens to deliver lab tests rather than opening its own retail clinics. Because it realized the importance of access to the right network at the right time. In an industry where having the first mover advantage can mean a difference between success and failure, Theranos tapped Walgreen’s well established retail networks to reach its targets. It is an exciting time to be a player in the healthcare field today, both as a disruptor and as an incumbent. And in these exciting times the business model that is sustainable is the one that hinges on the spirit of collaboration. Robin Williams’ death last year left the world stunned. How can a man who had so much ‘going’ for him take his own life? How can a man who made millions laugh could not bring himself out of a seemingly ‘bad mood’? Williams was suffering from depression, a condition so debilitating that if left unchecked could lead an otherwise healthy person to commit suicide. The incident is a wake-up call for the healthcare community as it is predicted by WHO that depression is projected to become the second leading contributor to the global burden of disease by 2020. The event has certainly brought a lot of attention on the issue but I believe a lot more needs to be done. In this post I talk about how social media can play a role in addressing the condition. Campaigns to educate: The stigma attached with mental illnesses has made it hard for people to talk about it openly. Creating awareness and establishing platforms to educate general public is the first step towards removing the stigma. Since social media has enormous reach it can be used to launch campaigns highlighting the myths, treatment options and help centres related with depression. For e.g. Twitter campaigns can be organized to encourage people including patients, family members, friends, doctors, psychologists to talk about their experiences. This open dialogue can not only help remove stigma but can also lead to previously unknown insights to deal with the condition. Identify ideal treatment: According to WebMD there are multiple ways to treat depression. The choice of treatment depends on a number of factors such as type, stress, early life experiences, genetics etc. The perfect fit can be tailored if all the patient data is available. Medical reports, patient reported data has been traditionally available but the missing piece was patient behavioural data. Social platforms such as Koko would enable access to patient behavioural data that could deliver meaningful insights to create an ideal treatment plan. Recruit patients for clinical trials: Despite massive efforts, CROs have failed to meet the patient recruitment target. One of the major barriers is that patients generally consider clinical trials risky and therefore do not enrol in them. With the advent and use of social media and the rise of e-Patients and e-caregivers we can easily overcome the barrier. This group of e-patients and e-caregivers are a new informed breed who is well aware of the risks/rewards of trails. They are 60% more likely to participate in trials and therefore social media websites can be a great tool to support trial recruitment. New source for patient research: Patient blogs are a rich source of information that is not available elsewhere. Mining patient blogs (with the permission of the owner) can help discover unique behavioural patterns which could be a major boon to comparative effectiveness research and for public health. 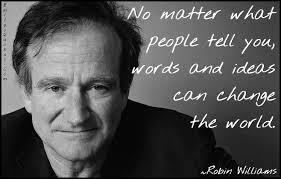 In words of Robin Williams “No matter what people tell you, words and ideas can change the world”. What is your idea? How can social media change the way we deal with depression? Can Gamified Mobile Apps Increase Prescription Adherence? Nearly a decade ago when I started gyming, more than the struggle to acclimatize myself to the strenuous workouts, I struggled with getting used to a regular exercising schedule. I would religiously follow a plan for a few weeks only to return to being consistently irregular. Fast forward a couple of years, I was not only able to stick to an exercising regimen but also started enjoying my workouts immensely. One change that brought about this transformation – switching from solo workouts to group workouts. In his book, The Power of Habit, Charles Duhigg discusses the psychology of habits and how they drive actions. With his cue, routine, rewards framework he describes how one can identify habits and also change them if need be. According to the framework what I did was tweaked my routine (workouts) to incorporate better rewards (group workouts rather than solo activities) to motivate myself. And that’s indeed true. While I often got bored with solo cardio activities such as running on treadmill or using a stepper, I realized that the group energy in activities such as zumba, aerobics made me look forward to every session. A single change in routine and rewards brought about a tremendous behavioural shift in me. Mobile apps increasingly are adopting this technique, also called gamification, to get users to alter their behaviour. The question is can gamified mobile apps bring about behavioural change in users? No Long-Term Sustained Change: People seek novelty and a gamified app offers limited newness beyond a point. After a certain amount of time when I got bored with aerobics I explored other group activities such as zumba, spinning etc. which helped me sustain a regular regimen. This is not the case in apps. Post a certain level, the newness wears off which results in users abandoning the app. Have To doesn’t become Want To: To get people to do something they need to feel in control and believe that their actions are governed by no one but themselves. Patient adherence apps recommended by doctors or insurance companies therefore will not yield the same results as when a patient voluntarily adopts the app. For eg. a prescription adherence app might be a great tool for someone who already manages a journal or has employed other methods to stick to a medication schedule. That is the patient is motivated and wants to change and doesn’t have to change. Unfortunately, a gamified mobile app doesn’t convert a Have To to a Want To. 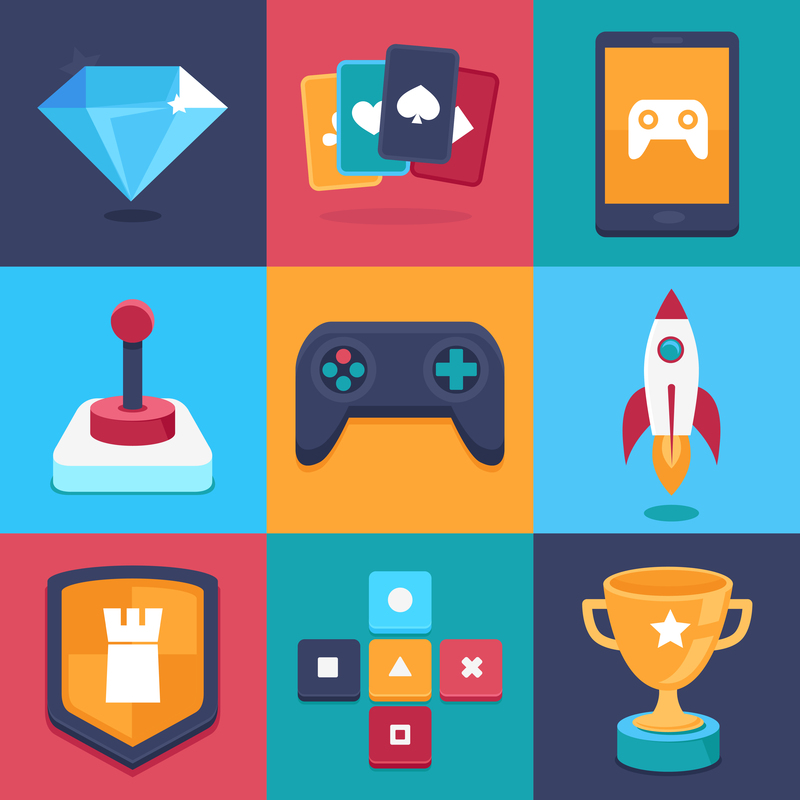 Monetary Rewards are Limited in Value: Gamification apps today are unable to improve stickiness by employing only social rewards. They are turning to monetary rewards (gift cards) to incentivize users. This is counterintuitive. Extrinsic rewards have been proved to be less effective than intrinsic ones, especially when it concerns issues such as healthcare. If monetary incentives would have worked, the scores of gyming memberships today wouldn’t be as underutilized as they are. Gamification has worked really well in other healthcare areas such as education. But as far as prescription adherence is concerned, more creative ways need to be identified to make it successful.